Today I am going to interview my friend blogger Karan Singh Chauhan from bloggingways.net. I think he will give you some great tips on how new bloggers will do blogging properly and will make decent amount of income from their blog. I have just published 2 brand new episodes on Talkandtalkers Interview Series. This is 5th interview taking by mine. In recent interviews, Amar and Ravi Kumar already shared their superb blogging idea. I am very thankful to Karan Singh Chauhan by giving his valuable time. I also want to tell my readers bloggingways was first published my guest post. Let’s start………….. Myself, Karan is a 20 years old guy, currently living in Punjab,India as a B.tech student (Engineer) in the field of Electronics and Communication. He is an Ethical hacker, Blogger, Certified SEO, Security Expert, Computer Software developer and EBook Writer as well. During his leisure time, he loves to write what he knows well at Blogging Ways. He started blogging in the late 2010 just for fun and to increase its popularity worldwide. At that time, he was in 12th class as a non-medical student. He had a lot of knowledge about Computer in the field of basics,software,hardware and web designing also because from 6th class he started doing extra courses of it. And from this, his life changed dramatically and gets involved in the world of Blogging. Giving Special thanks to my God, Parents and WordPress which gives me the platform to express myself in front of the whole world by choosing this way Out. Do you think, blogging is a good alternative of regular Job? If yes then why? I prefer Blogging out of a boring 9 to 5 regular job. In Blogging, you are the boss of our own company whereas in Job, you are the worker with lots of stress. During Holidays, I spend almost 5-6 hours on my different blogs whereas in busy daily routine time, its very tough to get time for blogging as I am doing my graduation mainly. On average, I spent 1-2 hours on my blogs or sites. Well It’s pretty simple when it comes to your own blogging, probably because I use so many tools and below are my favorite + very common among all. Long Tail Pro – This tool also suites best for your Niche Sites and ideal for ranking No.1 for specific keyword. Long tail Pro was created by Spencer Haws at NichePursuits and available at premium terms. It allows the user to quickly generate hundreds or thousands of unique long tail keywords based on one or multiple root keywords at once. According to me, its must for every blogger and proved to be a great alternative to Market Samurai which was too slow. Genesis Framework with all its Plugins – Well I just say that Genesis Framework suites best for your WP blog functionality and look wise. All Studiopress child themes are powered by Genesis Framework and built with taking SEO and design into consideration. I think After installing WordPress and for a new blog, Genesis is his/her first priority. This framework is designed by Copyblogger Media and now a days powering more than 86,000 WEBSITE OWNERS. The Genesis Framework empowers you to quickly and easily build incredible websites with WordPress in minutes. SEOPressor – Well SEOPressor is a great WP plugin known for his on-page optimization and lots of more features like Over Optimization check, Rich snippets, Social SEO, LSI keywords etc. Now its new version V5 just got better and this plugin saves you from all Google Algorithms too. That I why I highly recommend it to you. I made a lot of mistakes in my life but below 2 very impactful on my life. Yes, its true. My first blog is KrackoWorld which aims at providing tutorials related to Ethical Hacking, Computer Security Tips, Cracked Software’s and many more. I don’t say this is my biggest mistake of Blogging Career as it teaches me lot of things about hacking and Security but in terms of Money….that blog suffers with no sponsors, adsense etc. In 2011, I also wrote my ebook on “Power of Hacking” which till today sold out more than 100 copies successfully. This is my second mistake in my life, after getting Page Rank 2.0 for my blog I just got crazy and started to build backlinks through software’s, directories submission etc and targeting only one anchor text, so that’s all Google Penguin punish me later on. Now due to this, my blog traffic slips and hard to find it on Google. Update- Now my Blogging Ways blog moved to .net extension and works everything fine on it. According to you, what are the must use Plugins for a wordPress user? Well Currently I am using 30+ plugins at my blog. For supercharging my blog, I use W3 total cache, jetpack, Akismet, Google XML Sitemaps, WP DB-Backup, SEOPressor and many more plugins like this. Best feature is lots of Customization with the blog even we can make it a rocket. Thus the worst thing about wordpress is easily hackable with some tweaks. Hackers are hacking wordpress with their skills so its highly recommendable to make it more secure ad adding some security codes to htaccess file. New Bloggers often finds it difficult to drive traffic to their blog. When you were new to blogging, how did you managed to bring lots of traffic to your blogs? Now a days I am currently receiving more than 50,000 visitors per month and increasing day by day. I monetize my blog traffic with Google AdSense, Affiliate Marketing, Paid Posts and by offering WordPress Services etc. In terms of Affiliate Marketing, I promote products like all paid WordPress plugins include SEOPressor, Keyword Winner etc, Themes like Genesis and also recommends popular web Hosting providers like BlueHost and Hostgator. This all would make up and combine together to give me more than 1000$ a month. WoW! For AdSense, I only received 3 checks before and with the almighty of God, I received tons of request of Guest Posting everyday at my blog. Just Write 1-2 Quality Posts every day for 6 months by starting a new blog very first, and then monetize it with Google AdSense and Infolinks to make money online. 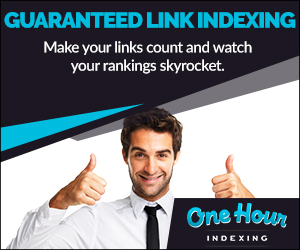 Now work on SEO and make backlinks to increase Google PageRank and receive sponsored ads plus reviews. To be a successful Blogger in 2014 all you have to do is hard work and keep patience always. Now a days there is Blogging everywhere that’s why people are opening lots of interesting blogs for money and exposure as well. Blogging can be of many forms such as writing educational notes, a stay-at-home mom sharing food recipes, a 14 year old girl sharing her fashion sense and a 50 years old man discussing finance to his fellow readers etc. It doesn’t matters Whatever the age, niche or purpose, every blogger wants some kind of appreciation for the amount of time he/she is dedicating to their blog. Like discussed above, I use Google Adsense,Infolinks and Put Sponsored Ads/Reviews to make money from my blog. This all makes me more than 1000$ from my blogs.